Among Levitan’s teachers at the Moscow School of Painting, Sculpture, and Architecture (1873–75) were Aleksey Savrasov, who had first developed lyricism in Russian landscape painting, and Vasily Polenov. Levitan considered himself the spiritual heir of Savrasov and saw it as his mission to combine an interest in atmospheric dynamics with his capacity to reveal poetry in the lives of humble Russian peasants and to uncover the spiritualizing results of poverty. Epic panoramas had already appeared alongside intimate motifs in Savrasov’s work, and the difference between an étude (study) and the finished painting was becoming imperceptible (even more so in Polenov’s work), anticipating the complete passion for étude (called étudism in Russia) of the 1890s. Levitan brought to these trends a formal clarity, both broadening the scope of his mentors’ artistic program and unifying its disparate elements in his markedly individual and romantic style. The result was an effect that his friend writer Anton Chekhov termed levitanisty. This new style was adopted by a new generation of Moscow landscape artists. Most of them were Levitan’s students at the Moscow art school (his erstwhile and not always kind alma mater), to which he returned in 1897—at the peak of his fame—to teach landscape painting. The path from his paintings such as Autumn Day, Sokolniki Park (1879; bought by Pavel Tretyakov, founder of the Tretyakov Gallery) to his “epic” The Lake, Russia (1900) did not follow a trajectory from the studies to unified compositions. Levitan’s love for open expanses (as seen in Evening, Golden Ples, 1889, and Golden Autumn, 1895) always coexisted with a sharp and complete vision (The Month of March, 1895). His choice of subject was dictated by mood—a central category in his personal aesthetics. Dreaminess—the lightly agitated attraction toward what exists as an image of beauty but cannot be captured—caused Levitan to respond by amplifying colour and adding dynamism to texture. Indeed, the plein-air quality of his painting at times surpassed that of the French Impressionists. In the 1890s Levitan, for the first time, traveled to western Europe, staying in Berlin, Ger. ; Paris, Nice, and Menton, France; and Bordighera, Venice, and Florence, Italy. In France he learned firsthand about Impressionism, which was of particular interest to him. His travels in Italy resulted in sketches and paintings of Italian landscapes. Levitan was everyone’s landscape artist. He was equally valued by the Peredvizhniki (“Wanderers”), which group he joined in 1891, and by the younger generation of painters opening up to trends from the West. 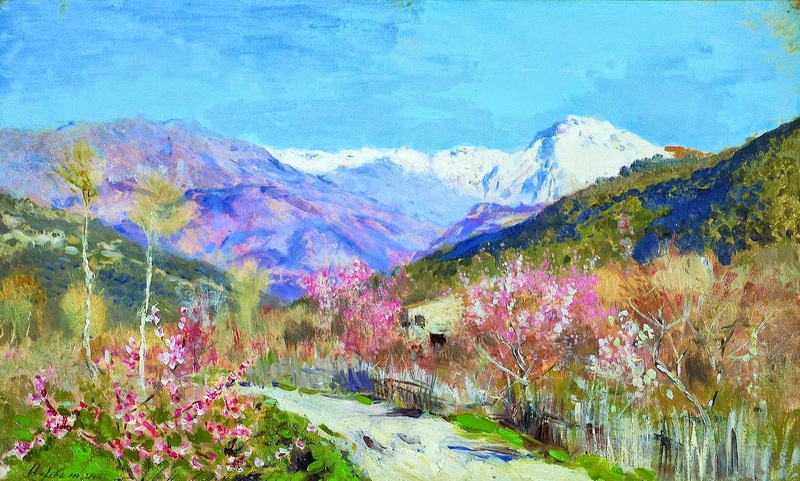 The personal element he brought to traditional objective landscape painting earned him the admiration of all those inspired by the Russian landscape.